What's causing the temperature to drop in Singapore? Adventure Cove Water Park! When structures are built up from the ground, they have a purpose. Some become homes, some places of worship, some a playground of laughter and fun, and then there are some that are pure, unadulterated enjoyment - water parks. You’ll rarely come across someone who does not enjoy water parks. The feel of the cool water when the sun is streaming down is the most perfect thing ever. As if that wasn’t enough, water parks tend to have thrilling rides, where you can swish and sway. So if you’re someone who knows how much fun water parks can be, you don’t really need any convincing to get your Singapore visa and head on to Adventure Cove Water Park. If you’re not, then this will give you that little nudge in the right direction. Situated in the Resorts World Sentosa, the energy is infectious right from the get go. 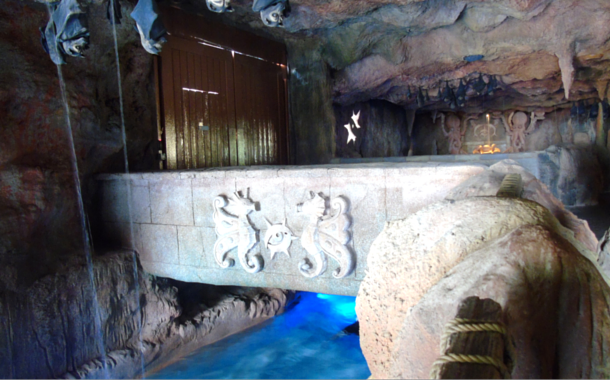 The lazy river greets you upon entering and your feet can’t help but tap to the beat of the music. Once you catch a glimpse of the inviting pool, you won’t be able to hold back. Locker services are available for you to stash your belonging and enjoy care free. Adrenaline junkies need to gear up because this water park is jam packed with rides. The Spiral washout and the Riptide Rocket is definitely a must do if you want to get those adrenaline juices flowing. The Riptide rocket generally has a good amount of waiting (which hints at its popularity), so you can chill out at the wave pool which is right next to it. You can feel the waves of the sea without salty water getting in your nose or sand stuck in your pocket. 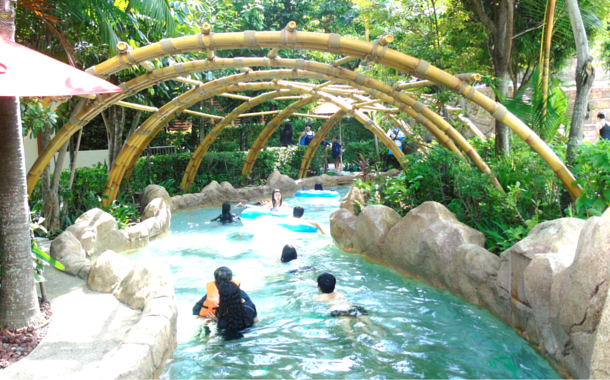 You might think that a few rides is all the adventure cove water park has. But this is Singapore, which means ordinary turns to extraordinary. Into the usual is mixed the unusual, and what comes of it is pure extravagance. 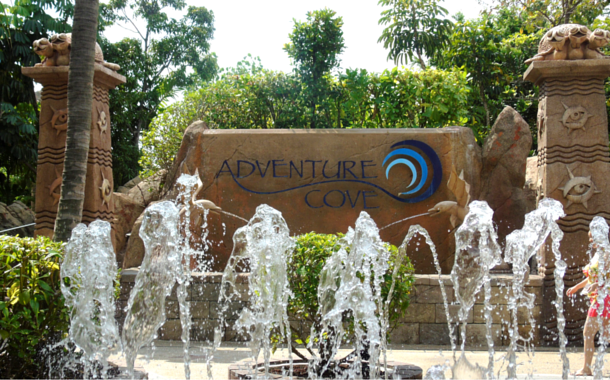 In adventure cove this comes in the form of snorkelling. Now you might think that witnessing the wonders underwater will burn a hole in your pocket. But that’s where Singapore surprises you once again. The cost of snorkelling at the Adventure Cove Water Park is included in your entry ticket so you don’t have to shell out extra bucks. The water at the snorkelling arena is chillier than the rest, something you might want to get prepared for. Life jackets and snorkelling equipment is provided for. It takes a while getting used to the idea of breathing through your mouth and can seem a little daunting. But once you get over it, it’s the most beautiful thing you’ll ever experience. It’s a small swim with plenty of life guards around, so you can be rest assured you’ll be safe. Trust me, getting over the initial fear is the biggest task, rest just falls into place. All these entertaining activities are bound to make your stomach grumble with hunger. Well, there’s a solution for that as well. The water park has an in house food court where you can gorge on delicious food and resupply your body with some much needed energy. 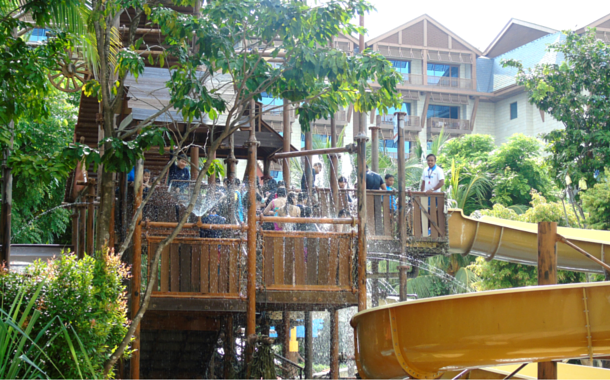 A splashing time - tailor made for you and your family. Enough reason to get your Singapore tour package and head on to this happening city.